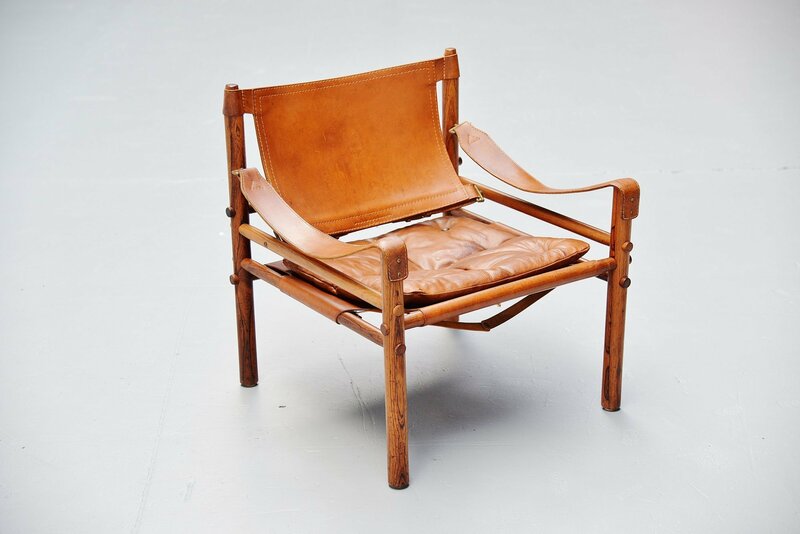 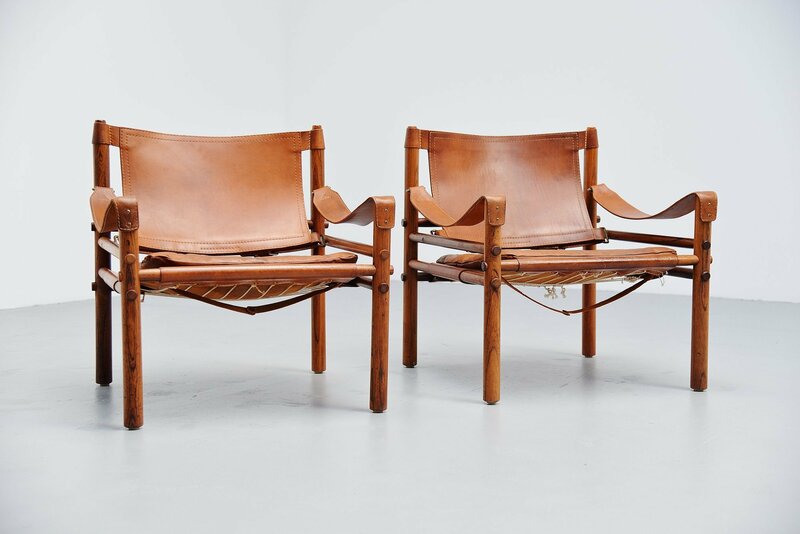 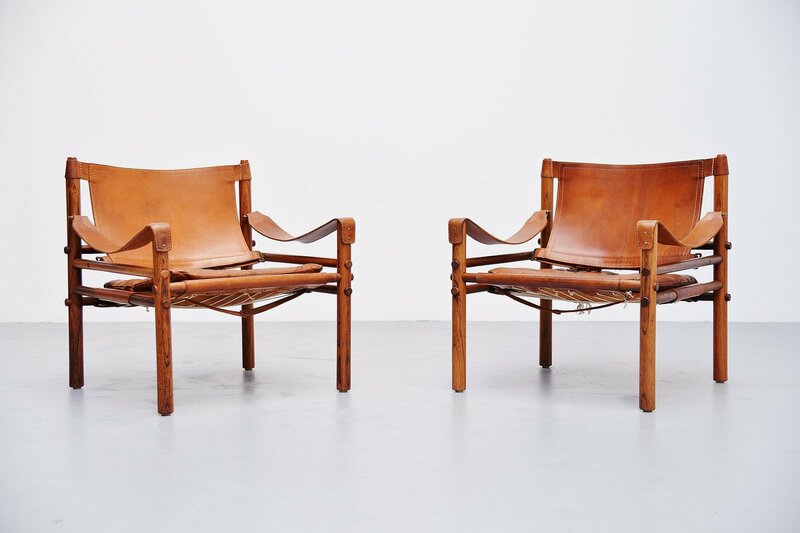 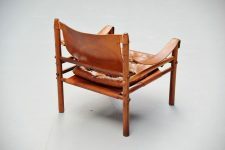 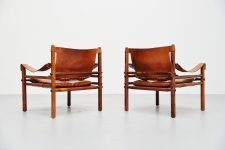 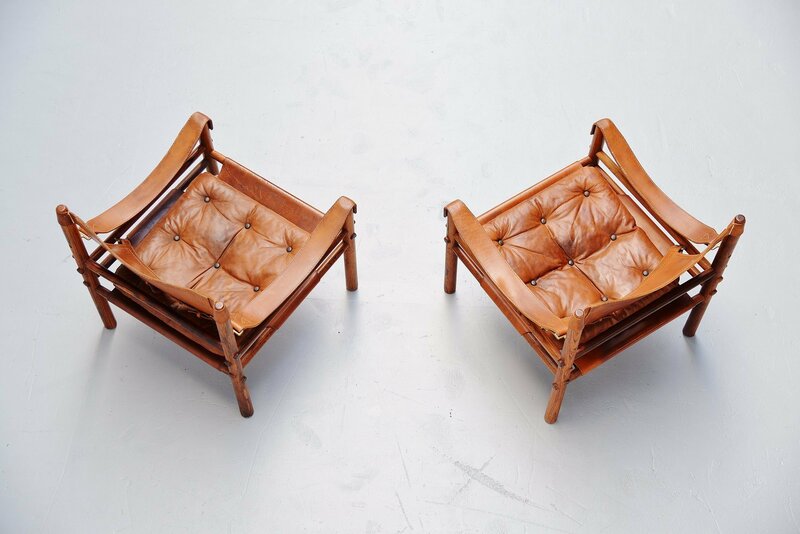 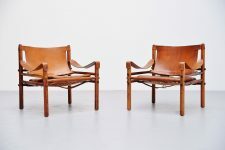 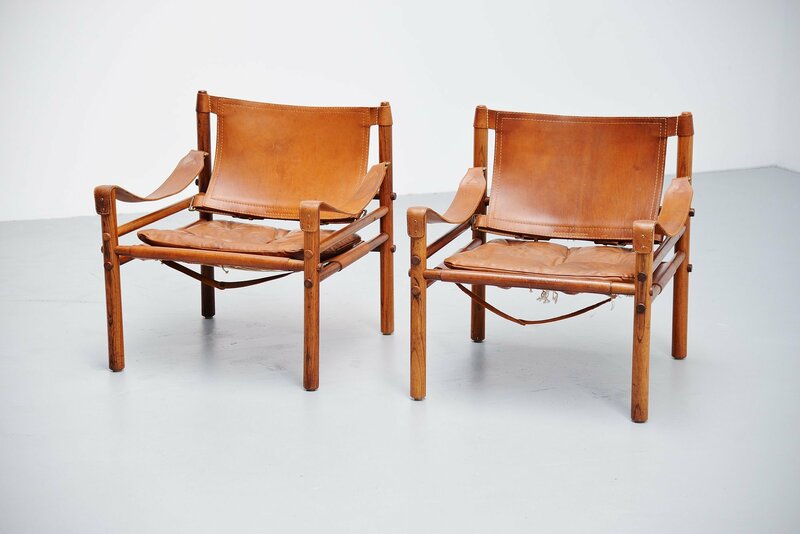 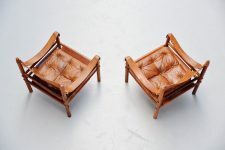 Amazing patinated pair of Sirocco lounge chairs designed by Arne Norell, manufactured by Norell Mobler AB, Sweden 1964. 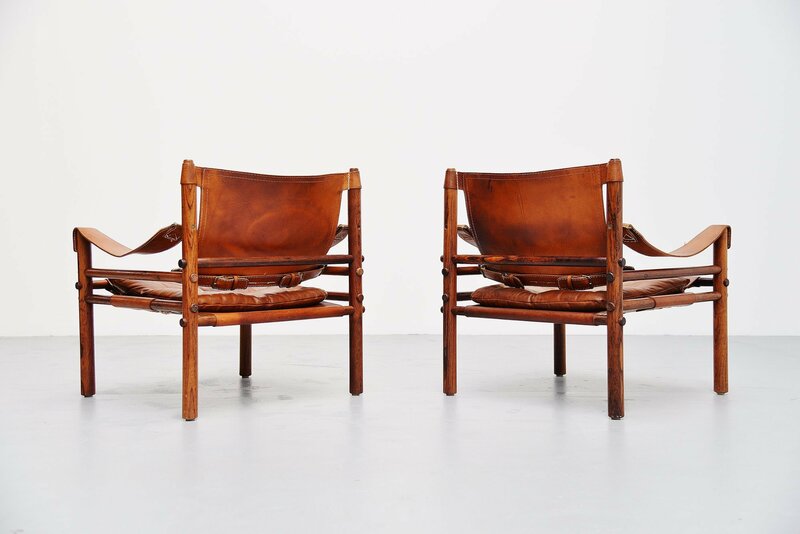 These chairs have very nice grained solid rosewood frames and thick cognac leather seats with lovely patina from age and usage. 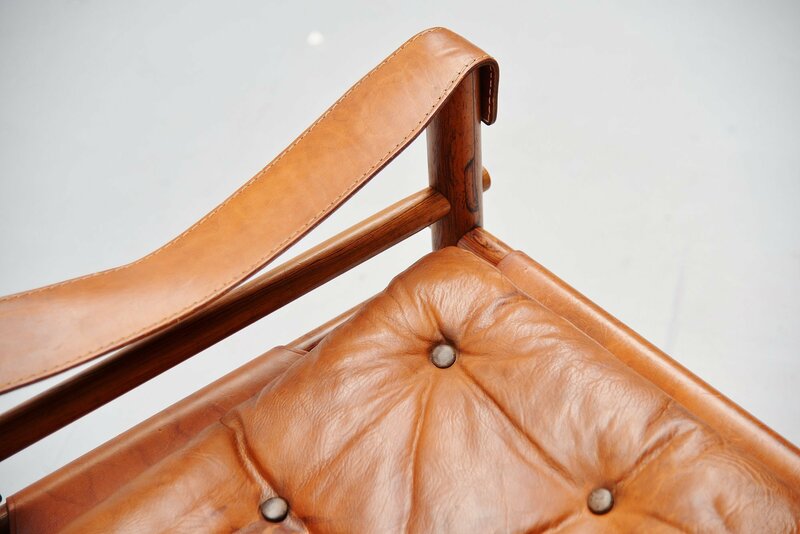 The chairs are fully in tact, no tears or holes to the leather. 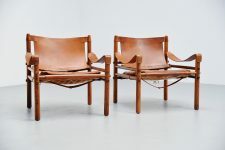 The chairs were designed to dis assemble easily for easy shipping and transport. 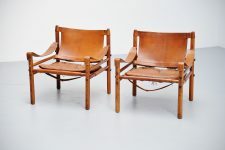 Very nice looking pair of chairs and comfortable seating.